Doctor Strange is a 2016 American superhero film featuring the Marvel Comics character of the same name, produced by Marvel Studios and distributed by Walt Disney Studios Motion Pictures. It is the fourteenth film of the Marvel Cinematic Universe (MCU). The film is directed by Scott Derrickson, who wrote the screenplay with C. Robert Cargill from a story by the duo and Jon Spaihts, and stars Benedict Cumberbatch, Chiwetel Ejiofor, Rachel McAdams, Benedict Wong, Michael Stuhlbarg, Benjamin Bratt, Scott Adkins, Mads Mikkelsen, and Tilda Swinton. 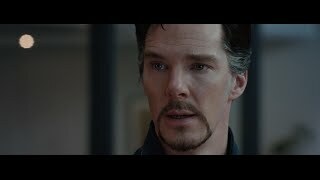 In Doctor Strange, surgeon Stephen Strange learns the mystic arts from the Ancient One after a career-ending car accident. 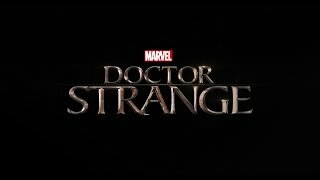 Various incarnations of a Doctor Strange film have been in development since the mid-1980s until Paramount Pictures acquired the film rights in April 2005 on behalf of Marvel Studios. Thomas Dean Donnelly and Joshua Oppenheimer were brought on board in June 2010 to write a screenplay. In June 2014, Derrickson and Spaihts were hired to direct and re-write the film, respectively. Cumberbatch was chosen for the eponymous role in December 2014, necessitating a schedule change to work around his other commitments. This gave Derrickson time to work on the script himself, for which he brought Cargill on to help. The film began principal photography in November 2015 in Nepal before moving to the United Kingdom, and concluded in New York City in April 2016. Filming also occurred in Hong Kong. Doctor Strange held its world premiere in Hong Kong on October 13, 2016 and is scheduled to be released in the United States on November 4, 2016, in 3D and IMAX 3D. The film has grossed over $87 million, and was met with positive reviews from critics, who particularly praised its unique visuals.